UPDATED: Mon., Jan. 21, 2019, 6:20 p.m.
A 2-year-old girl from Sandpoint was killed Monday morning in a collision on state Highway 200 about three miles east of Ponderay, Idaho. According to the Idaho State Police, Keanu M. Dooley, 22, of Sandpoint, was traveling westbound on Highway 200 in his 1998 Subaru Forester about 7:45 a.m. Monday when Dooley attempted to turn left onto Sunnyside Road. Wesley J. 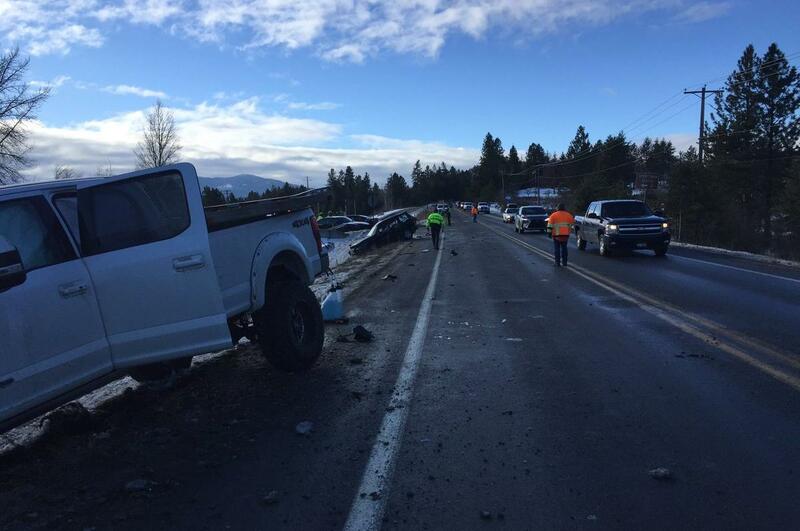 Free, 29, of Sagle, Idaho, was driving eastbound on Highway 200 in his 2017 Ford F-350 pickup when he struck Dooley’s Subaru on the passenger side. The 2-year-old girl, who was properly restrained in a safety seat, died at the scene. Neither Dooley nor Free were wearing seat belts, according to the ISP news release. The investigation into the fatal collision is continuing. Published: Jan. 21, 2019, 6:20 p.m. Updated: Jan. 21, 2019, 6:20 p.m.